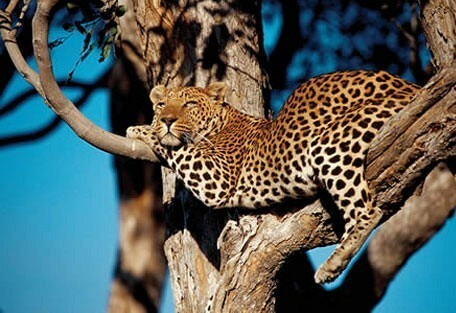 Meru National Park is a forest reserve located 350km from Nairobi, east of Meru town. 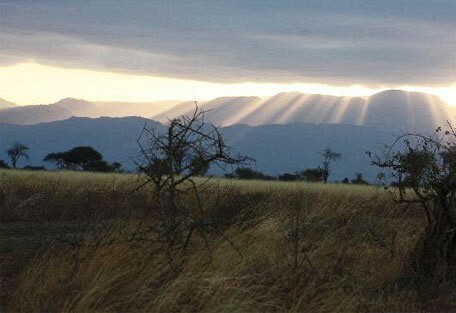 It is one of Kenya's lesser known parks, covering an area of 87 044 hectares. Meru is part of a complex of protected areas along the Tana River that includes the Bisanadi and Mwingi National Reserves, Kora National Park and Rahole National Reserve. The wetter north western sector is hilly with rich volcanic soils. Towards the east the land flattens and the soil appears grey and volcanic. As well as the many streams that cross Meru National Park, the park is bound by three large rivers: Rojeweru River to the East, Ura River to the south west and the Tana River to the south. Kenya's location on the equator gives it a tropical climate and a lot of summer rainfall, which encourages the growth of vegetation. This in turn makes animal spotting fairly difficult out of the dry season, but beautiful scenery nevertheless. The story of Elsa the Lioness is undoubtedly the main attraction to Meru National Park. Conservationist couple Joy and George Adamson raised a lion cub, Elsa, and eventually released her back into the wild; a story that inspired the book and film, Born Free. 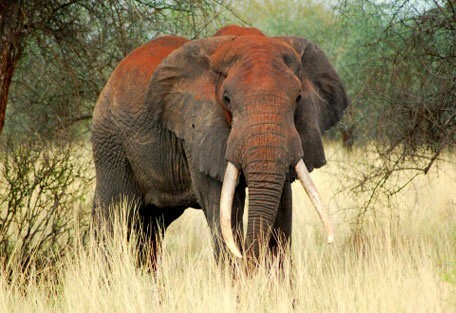 Tragically, the 70s and 80s brought uncontrolled levels of poaching, which eradicated the populations of wildlife. The severity of the situation meant that many lodges and camps closed down until the park was repopulated and protected, bringing to up to what it is today. Meru has an 84 sq km rhino sanctuary that is home to a number of both white and black rhino. 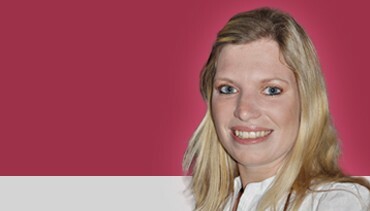 It is open to visitors and is particularly close to Elsa's Kopje Camp. Other attractions in the park include the beautiful landscape. Mt Kenya is clearly visible from the park. Elsa's Kopje is named after Elsa the lioness, made famous by George and Joy Adamson's biographical book and film "Born Free". A good camp to see rhino in their natural habitat. 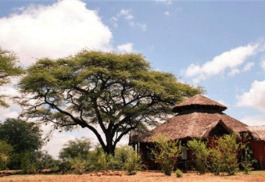 Elsa's Kopje is renowned as one of the most stylish lodges in Africa. Offbeat Meru Camp is small, traditional and located on the edge of Meru National Park in the Bisanadi National Reserve in a stunning location overlooking the Bisanadi River with beautiful riverine forest. 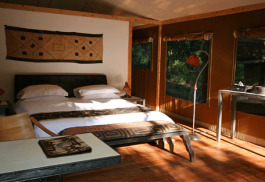 Rhino River Camp is an exclusive, luxury camp, located in Meru National Park. Activities at the camp include bush walks, game drives, bush meals and more. Wildlife to witness at the camp include lion, rhino, cheetah and many more. Leopard Rock Lodge is decorated in contemporary African design with a Grandiose terrace offering a panoramic view overlooking the bush and the river and extensive views onto the bird life paradise. 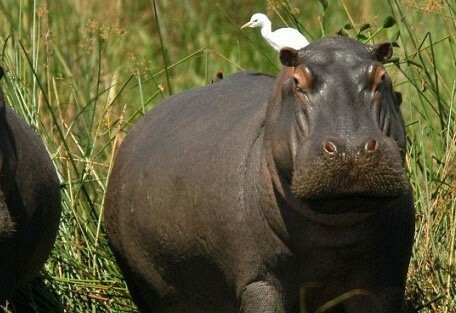 Meru National Park has a wide range of wildlife including elephant, lion, leopard, cheetah, black rhino and hippo. Buffalo, oryx, oribi, zebra, giraffe, hartebeest, impala, kudu, mongoose, warthog, dik dik, civet, caracal, wild dog, baboons, hyena and vervet monkeys can also be spotted. Meru National Park is also to home to an abundance of birdlife that includes Pel's fishing owl, Peter's finfoot which inhabits the Murera and Ura Rivers. In the 1980s the game in Meru was almost completly eradicated by poachers. With assistance from the International Fund of Animal Welfare, the Kenya Wildlife Service has restored Meru National Park from near-ruin to an excellent tourist destination in East Africa. 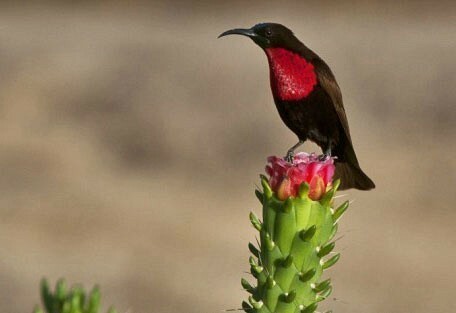 Bird Watching, Picnics, Camping, Wildlife Safaris, Adventure and Cultural safaris can all be organized. Nature walks, rafting and fishing can be organized along Tana River. Afternoons are best spent on cultural tours, fishing, rafting or just relaxing. 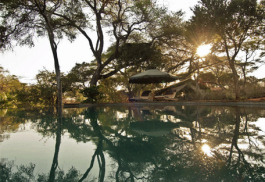 The very elegant Elsa's Kopje Camp was named after Elsa the lioness, made famous by George and Joy Adamson's biographical book and film, Born Free. It is situated above the site of George Adamson's original campsite and is a good camp to see rhino in their natural habitat. 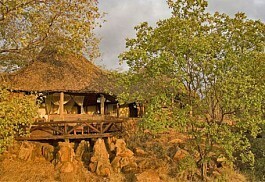 Leopard Rock Lodge offers 15 luxury cottages with a large private terrace. Cottages feature elegant decor with hand-carved furniture with Lamu Wardrobes, Persian Carpets and an ensuite bathrooms. Guests may dine at the open-air dining room with a choice of world-class cuisine and a fine selection of French wines. Rhino River Camp has 6 luxury cottages built out of canvas and sustainably grown wood, raised on platforms above the flowing Kindani River. Each room has its own private ‘zen’ area where guests can meditate, read a novel, or simply unwind. Other facilities at the camp include a swimming pool, a stocked bar and restaurant area, numerous nature trails for guests to explore the camp on foot or bike. Guests will be flown from Nairobi to an airstrip closest to their booked lodge in Meru National Park. From the airstrip they will embark on a road transfer to their accommodation.